Kelsy Timas is the RPC for Train, Teach & Transform in North Carolina. She is a military spouse and founder of The Guiding Wellness Institute (GWI), a national holistic wellness company headquartered in Fayetteville, NC, just outside the gates of Fort Bragg, NC, our nation’s largest military installation. 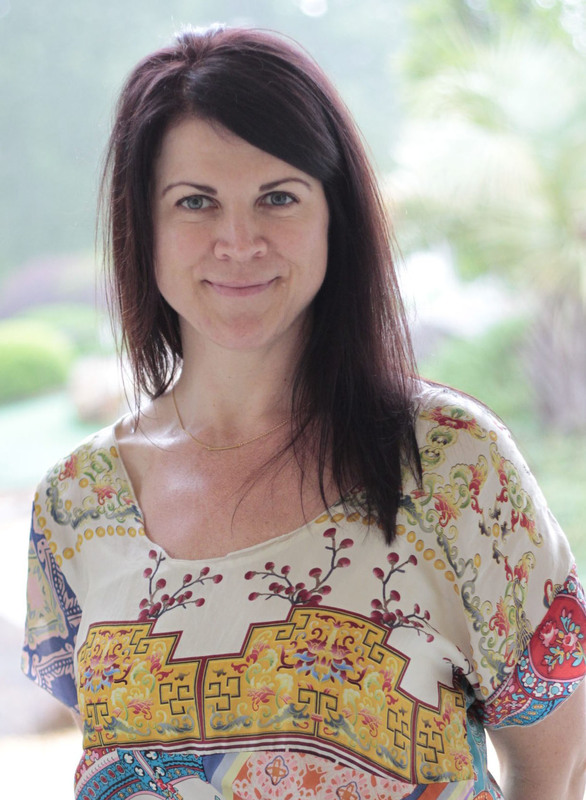 In addition to being a Warriors at Ease Teacher, Kelsy is a Board Certified Holistic Health Practitioner, as well as a Life Coach and Wellness Educator who assists service members, veterans, and their families in discovering and recovering a life in balance. Kelsy is a proud member of the American Holistic Health Association (AHHA), International Association of Yoga Therapists (IAYT) and National Board of Drugless Practitioners. Beginning a career in Medical Management and Nursing, Kelsy discovered that her passion was in preventative and holistic based practices which redirected her studies and ultimately her life. This faithful decision refocused her vision resulting in the creation of her company, Guiding Wellness, and her “Be Well” philosophy. 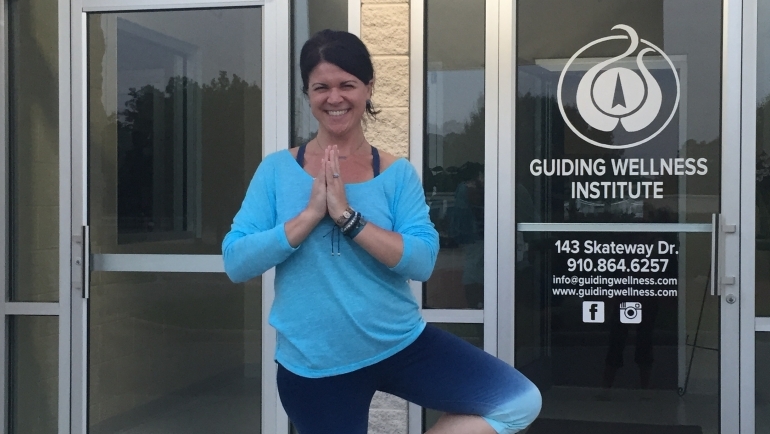 At a very uncertain time in our nation and a new husband deployed to Iraq, Kelsy bloomed where she was planted, creating a Holistic Health practice in Fayetteville, NC. With her passion to serve veterans, first responders, healthcare professionals and other caregivers, Kelsy often refers to herself as the “Caregiver’s Care Giver”. Kelsy has over 20 years of diverse Holistic Health experience, certifications that include early childhood development, counseling addiction, Mindfulness Based Stress Reduction, and Yoga and Body Therapies; Kelsy’s most important accomplishments are still on the horizon. When she is not teaching, working with clients, or supporting Warrior at Ease programs, Kelsy is enhancing her humanitarian footprint through her service on the Board of Directors for Connections of Cumberland County, Chambers for Hope, and Sustainable Neighbors. She also enjoys living her message of “Balance” through clean eating, the practice of Yoga, writing, and the creative arts. Her greatest desire is to leave the world better then she found it and strives to do that every day in as many ways as possible while Living Well. 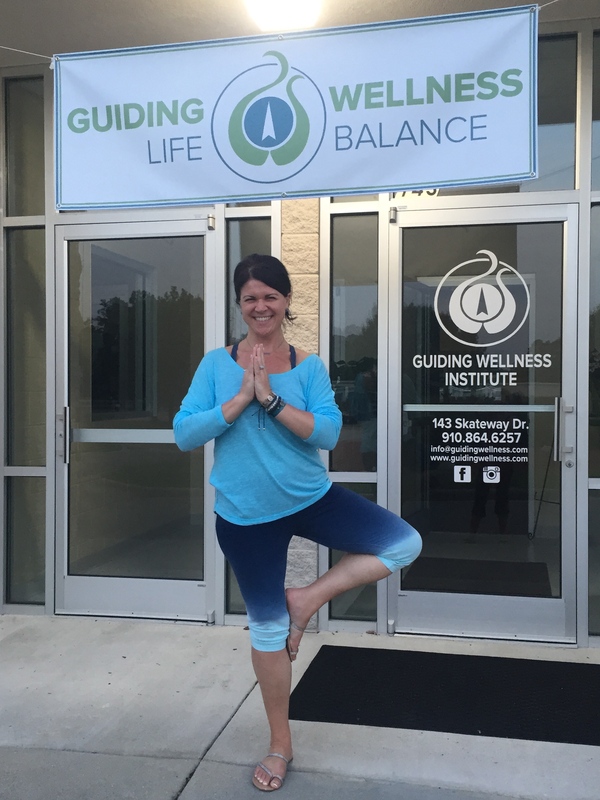 Kelsy and her team at GWI are passionate and committed partners of Warrior at Ease. GWI supports our Train, Teach & Transform model in many ways to include hosting and facilitating world class Yoga Teacher Trainings (200 & 300 hour programs) that integrate all levels of Warriors at Ease curriculum. These programs are currently offered in Fayetteville, NC and Clarksville, TN, respectively serving military communities of Fort Bragg and Fort Campbell, and we will soon expand these programs to other locations in our Train, Teach & Transform program.